There’s a good reason why more retailers and shopping establishments are adding organic products to their bed and bath repertoire. While many are quick to conclude that these shops are only jumping in some sort of “organic” and “going green” bandwagon, it will do you good to reconsider the many benefits of organic beddings, sheets, and towels to your family’s health. Organic sheets made in the USA are becoming more commonplace not only because many fancy them, but because they offer real health and environmental benefits. If you have already committed to a healthier lifestyle, it is high time that you consider eliminating things in your household that can potentially harm your family’s health—among the most notorious of which are beddings doused in harmful chemicals. Regular sheets manufactured using toxic chemical processes are made using materials that may be hazardous to health. Exposing your family to these kinds of toxins every night as they take their much-needed rest can mean mounting health problems in the long haul. If you want to prevent this and keep your family from chronic health issues, considering organic sheets made in the USA is a step in the right direction toward an even healthier lifestyle. 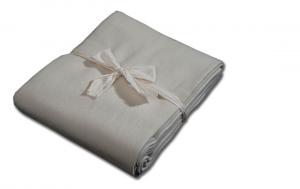 Organic sheets are free from harmful chemicals that regular beddings often contain. Wrinkle-free beddings, for instance, are treated with chemicals that make them less prone to wrinkling—chemicals that come in direct contact with your family’s skin or off gas into even harmful forms as time goes by. With organic sheets made in the USA, you never have to worry about these kinds of toxicities. You can be sure that your bed sheets follow strict organic standards that ensure the safety of their use, even for infants and young children.